On a market that’s saturated with all these available mattress models, choosing the best one for your needs is both confusing, as well as time-consuming. However, it’s important to take your time and do your homework by analyzing what different mattress models bring to the table in terms of comfort, support, and technology innovations. 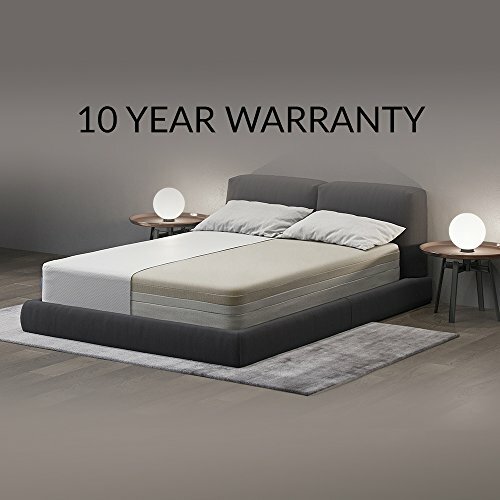 Today’s comparison brings out front two very unique mattress models. The first one if part of the Eight Mattress line and it’s called the Jupiter+. It’s a smart bed made completely out of foam that integrates chest-level sensors to monitor your body’s response and your sleeping habits. Through the help of an app, the ultimate goal is to give you as much detailed information as possible related to your sleep, as some fine tuning could actually improve the way you rest at the end of the day. On the other side, we have the Original Purple bed. The entire hype that surrounds this mattress is centered on the comfort zone. The polymer grid layer that lies right underneath the top cover was constructed to identify where your body sinks in into the mattress and customize the support it offers to alleviate pressure points. So, we have a smart bed and an intelligent mattress that supports you in all your sleeping positions. Which to choose? The Eight Mattress – Jupiter+ Model is good at a lot of things and the cover is most certainly one of them. The smart cover is made from 100% polyester, featuring yarns made from the same materials for the encasement, alongside some Silica Murtzco yarn to ensure flame retardancy. There are very fine dots spread all across the surface of the cover. While soft, the cover is pretty thin, but if you hold on tight, you will understand how this choice affects the construction of the mattress in a positive way. This first comfort layer is made with reactive polyfoam. What’s interesting about this is layer is that despite it being made from foam, it has a bounciness similar to latex. This makes it particularly easy to switch between different sleeping positions, much to the delight of people who prefer the bouncy feeling of a more traditional mattress. This layer works hand in hand with the one above it, to endure the bounciness we spoke of earlier. 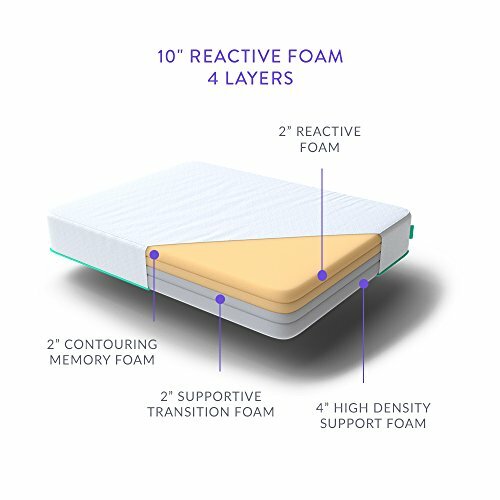 Basically, these two layers work together to provide the comfort you’d expect from a memory foam mattress while allowing you to maintain mobility due to the quick response of this layer combination. As with all memory foam mattresses, there is a middle layer that transitions between the comfort zone and the base of the bed. This layer supports the other two above it while working to evenly distribute the weight of the sleeper across the entire surface of the mattress. The base layer of the Jupiter+ measures four inches in thickness and is made from a sturdy block of memory foam. This base is what gives the mattress shape but also adds durability to the product. It also helps support all the layers that lie on top of it and gives the mattress its firmness. The firmness of the mattress is closely related to how comfortable you will fell in one sleeping position or another. 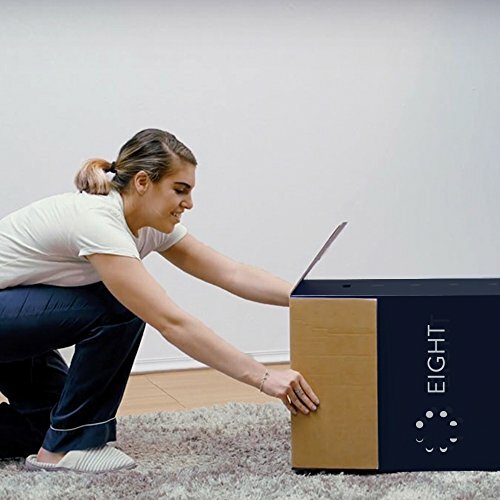 The manufacturer suggests that theEight Mattress – Jupiter+ Model is right in the middle in terms of firmness, meaning it’s a medium-firm mattress. As tests have shown, this mattress is a bit firmer than claimed. On a scale from 1 to 10, 10 being an indicator for the highest level of firmness, the Jupiter+ has a rating of about 6.5. To determine if a mattress is suitable for your needs or not, it’s important to know how well it performs when experimenting with different sleeping positions. It’s important for a mattress to be able to alleviate pressure points that are created in your favorite sleeping position, to prevent muscle and joint pains in the long run. The second you lie down, you will feel how the upper layers of memory foam contour your body and support your lumbar region. Because it’s quick to respond to pressure and regain its original shape, the Jupiter+ is a mattress that makes it easy for the sleeper to roll over from one position to another. If you like sleeping on the side, you should know that the Jupiter+ does a fairly good job in eliminating pressure points in the hips and shoulders area, despite it being firmer than our expectations. As for stomach sleepers, they will notice a little bit of sinkage in the hips area, but nothing that’s too concerning. That’s because the bouncy layers in the contouring area push the hips back, keeping the spine mostly aligned. A lot of people refer to the Eight Mattressl as the beds that revolutionize sleep. These are not the first smart beds we’ve got the chance to review up until now, they are quite a fierce competitor to some of the most expensive brands on the market. 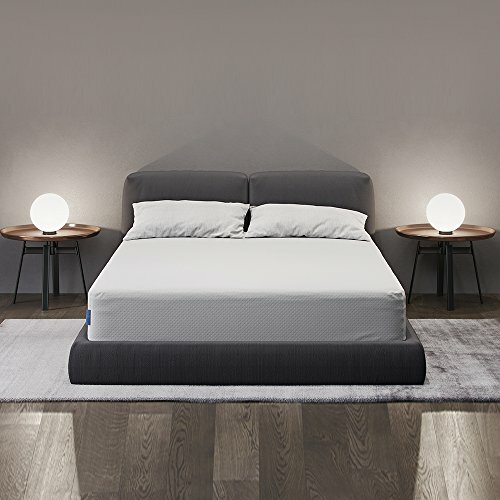 With the help of sensors embedded in the mattress, the Jupiter+ is looking to analyze your sleeping habits and patterns and make you fully understand what’s both functional and dysfunctional about the way you rest. In the initial setup, you can choose which side of the bed you want to track, but you can also add and remove a sleeping partner when needed. The tracker will gather information about you by using a sensor strip that’s located at your chest level. For the best results, it’s recommended that you sleep on your side or your stomach, although we’re pretty skeptical about anything that recommends we adopt the most ill-advised sleeping position. Anyway, let’s talk about what this app can teach you. You will receive information gathered from individual nights. As you lie down in bed, the tracker will start collecting information that’s related to your heart beats, breathing patterns, temperature, and nightly movements. We’re not going to get into all the details here, but what this app basically does is to deliver information about your hourly sleeping patterns, help you interpret your sleep cycles and understand where your sleeping habits could be adjusted for a better night’s rest. The thin cover of the Purple mattress is soft and breathable, as it’s made from a combination of lycra, viscose, and polyester. All of these three materials are blended to create a stretchy cover with moisture wicking properties that contribute to the overall cooling factor of the bed. 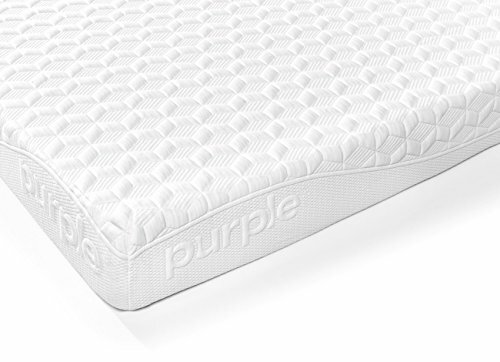 The first layer of this mattress is what makes the Purple bed unique and highly comfortable. They don’t call it a “comfort” layer for nothing. Instead of being just one big block of material, this layer has a grid pattern that serves many different purposes and enhances the quality of this mattress. First off, the construction of the layer allows air circulation within the generous gaps created by the polymer columns, which means that the mattress can draw heat away from the body and dissipate it, leaving you feeling cooler than you would if you were sleeping on a regular block of foam. Second, the construction was designed to detect where heavy pressure points are created and to trigger a weight distribution mechanism that provides extra support where needed. However, people that are extremely lightweight most likely won’t create these pressure points, which means that they won’t fully benefit from this feature. Moving on, we reach the middle of the mattress, which is a 3.5-inch block of polyfoam. This layer helps transition between the polymer columns and the high-density polyfoam base, while also supporting your weight. The final layer of the mattress is the high-density polyfoam base. This layer gives the mattress the shape and contributes to the overall durability of the product. Being a very solid layer of foam, the base of the Purple mattressalso helps support all of the layers above it. The firmness level of a mattress is what gives us a general idea on the sleeping positions that are best served by said product. 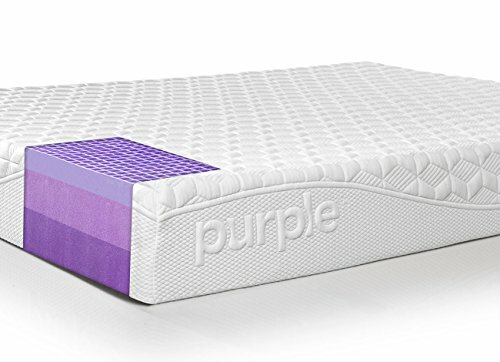 The Purple mattress has a firmness rating of about 6.5 out of a possible 10, indicating that this is a medium-firm mattress. Of course, people of different weights and body types will feel the firmness of a mattress differently, so make sure you read on to discover more about the general feeling in different sleeping positions. We often refrain ourselves from giving absolute verdict and making concrete statements about how a mattress feels. 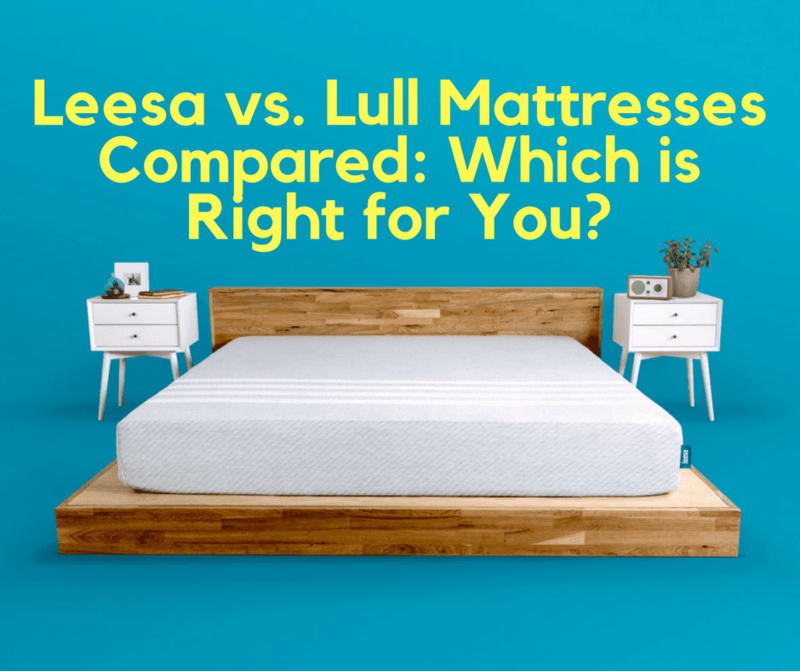 If you’ve ever read a solid number of mattress reviews, you’ve probably noticed the difference in opinions when it comes to the firmness and feel of a product. That’s because people bodies are different and so are their sleeping habits. We do, however, try to leave a general impression on how it feels to sleep on a mattress, so we’ll try to best describe how this experience is when referring to the Purple bed. When talking about how a mattress feels, we have to observe the different pressure points created by back, side, and stomach sleeping. 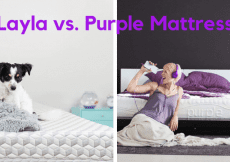 Back sleepers can rest assured that the Purple bed is the optimal companion. That’s because the pressure exerted in your buttocks area is high enough to trigger the effect of the polymer columns and provide excellent lower back support. What we really enjoyed seeing is how well the mattress performed when testing it in a side-sleeping position. It’s a well-known fact that side sleepers need a softer mattress because their hips and shoulder should be allowed to sink it up to a point where they are comfortably supported by the mattress. 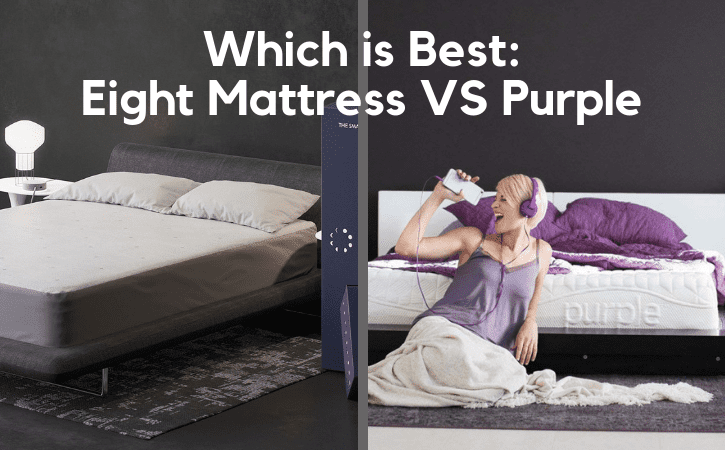 Unless you’re a really lightweight side sleeper, the Purple mattress should minimize pressure points to a very comfortable level. It was nice to see that the polymer columns do their job even when sleeping on the stomach. The hips will be pushed back so that there is little strain on the lower back area. Due to all the polymer hype, we went into testing edge support with great expectations. A layer that triggers under pressure to optimize support in high-pressure areas? How can you now have high expectations? Lying on the back close to the edge of the Purple mattress revealed a pretty to the one you have when you’re lying close to the center. That’s because the polymer layer is consistent throughout the entire surface of the mattress and does its job both at the center, as well as at the edge of the mattress. Sitting on the edge of the bed shows a little more compression, but it’s nothing out of the ordinary, so you should be able to comfortably put on your socks while sitting on the edge of the Purple mattress. Because it’s a smart bed, the Jupiter+ will be appealing to a lot of people. But due to the clear characteristics of the mattress, we’re going to give you a more specific target market, to see if you’re a fit. 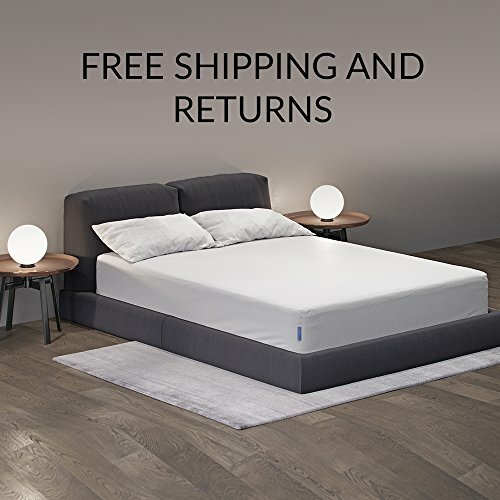 First off, the superior motion isolation of the product indicates that the mattress is ideal for those who share their bed with a restless sleeping partner (or for those of you that ARE the restless sleeping partners). Secondly, this mattress is dedicated to people who often have trouble falling asleep, wake up tired or have a disrupted sleep-wake cycle. The tracker will help them understand more about the way they sleep and help them make adjustments where they’re needed. Last, but not least, the Jupiter+ is suitable for those who prefer a firmer mattress, but like to combine sleeping positions throughout the night. 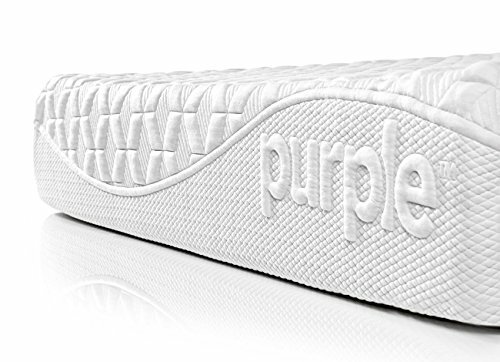 Since the Purple mattress has a lot of very interesting qualities, it’s suitable for a wide range of sleepers. 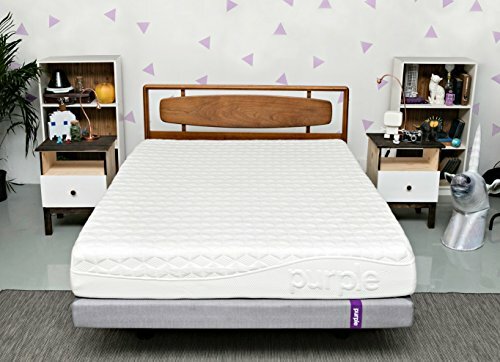 If you’re the kind of person who often feels discomfort caused by high body temperature, the Purple mattress may be the right choice for you. Not only does the cover have moisture-wicking properties, but the polymer grid maximizes airflow and dissipates heat. Second, the Purple mattresses is great for people who enjoy sleeping on the side. This is the positions that trigger the most intense pressure points and can activate the comfort layer to provide additional support in the shoulders and hips area. Last, but not least, this is a mattress for people looking to get a little bit of bounce from their beds, as the polymer layer is quick to respond to pressure and will prevent you from sinking into the mattress as you try to roll from one position to another. All these mattress reviews are focused on delivering information that’s as objective as possible, so you can better understand how their construction can be fruitful for your sleep. However, it’s never fair to assume that one specific mattress is the absolute best choice for your individual needs, as people are quite different when it comes to their sleeping patterns and preferences. 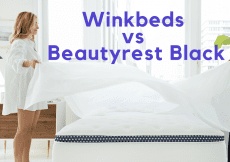 The choice between these two mattresses is seemingly impossible since they are both high-quality products delivered by brands with a lot of experience in the field. However, you are the only one entitled to make the right choice for yourself and pick something that will best soothe you at the end of the day. With generous trial periods, you can order whichever one of these beds feel more comfortable and return it if you’re not happy with your purchase.